website http://www.aptransport.org/. Andhra Pradesh transport department providing Vehicle registration details, Driving Licence details, Tax Verification, NOC details, Permits etc. through online. Procedure for Search Vehicle Registration Number online. 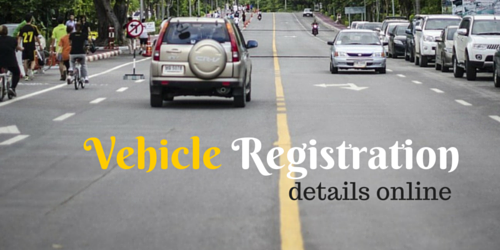 Than Click on "Registration Number Search"
Now Enter Your Vehicle Registration Number. Than Click on "Get Data"
finally " Get Vehicle registration details online.